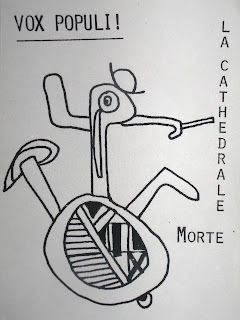 "La Cathédrale Morte" is one of the rarest Vox Populi! releases. Thanks to Axel Kyrou for the cover's pictures ! 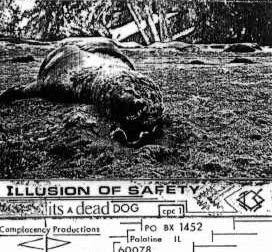 Very first cassette by Illusion Of Safety and first release of their label Complacency. 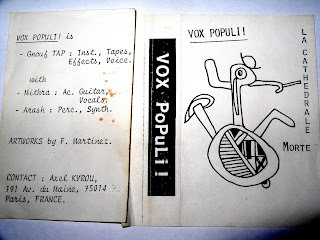 That great boxset compiled previously unreleased material (Domineer), an early cassette (Asesino!) and tracks from various sources (Retro). 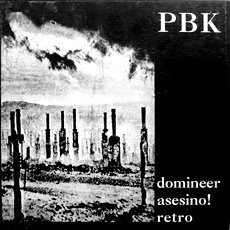 More recently, a CD ("A Noise Supreme, Early Solo Works 1986-89") and a 3xCD boxset ("Retro") containing early PBK material have been released in very limited quantities. 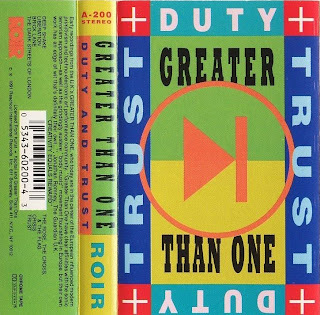 Early recordings showing the ambient and darkest side of Greater Than One. A1 & A2 are previously unreleased. 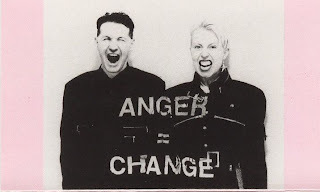 A3 previously released on "Dance Of The Coward" CD. A4 previously released on "Dry Lungs III" compilation LP. A5 previously released on "Insomnia Vol. 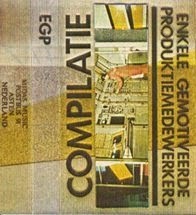 2" compilation 2xCassette. A6 previously released on "Insomnia Vol. 2" compilation 2xCassette & "Dance Of The Coward" CD. 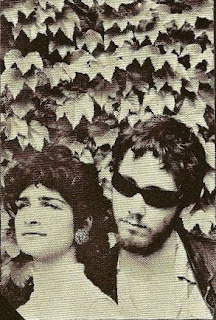 B1 previously released as "Trust" LP (We Never Sleep / Alamut Records).